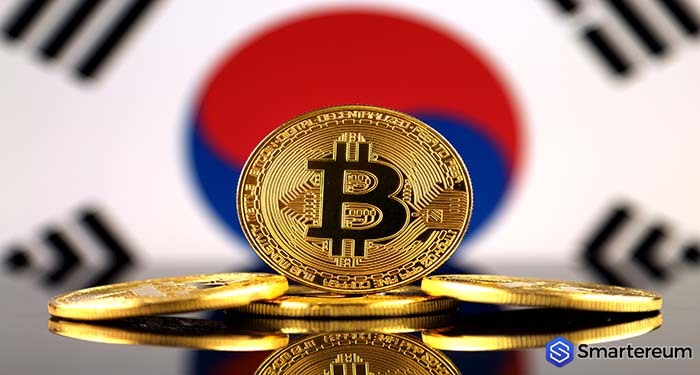 In positive cryptocurrency news, the government of South Korea will review its cryptocurrency regulations with a view to making them more favorable for the development of cryptocurrency in the country. The resolve was made by a government representative at the Deconomy conference which held in Seoul between April 4 and April 5. South Korea is one of the countries that acknowledged cryptocurrency and cryptocurrency operators. However, to protect residents from certain risks said to be associated with cryptocurrency, the country’s regulators introduced firm cryptocurrency regulations. For instance, South Korea requires cryptocurrency exchanges to partner with local banks which would open corresponding fiat-based bank accounts for its cryptocurrency customers. His regulation and others like it may have hampered the growth of cryptocurrency innovation in the country. As Smartereum reported, Bithumb cryptocurrency exchange had a very difficulty time getting a bank partner after its reputation was tainted by a major cryptocurrency hack last year. The operators of the cryptocurrency outfit could not take on new clients for a while and were at the risk of a business failure until it renewed its banking partnership. Other cryptocurrency firms have to battle with cryptocurrency requirements like this. At the Deconomy conference, Song Hee-Kyong, the co-president of the 4th Industry Forum of the National Assembly, hinted at softer regulations for the cryptocurrency suggesting that the government “misunderstood” cryptocurrency at the time the laws were made. Adding to the comment, Min Byung-doo, the chairman of Korea’s National Policy Committee, splashed that initial regulations were forced by the risks associated with cryptocurrency at the time it was still new. According to him, the idea was to protect the economy of the nation by ‘vaccinating’ it against the first major run-up of cryptocurrencies. Byung-doo, while defending the need to re-evaluate South Korea’s stringent cryptocurrency policy explains that the crypto market has matured and does not need the kind of regulations it was subjected to in its early days. The 4th Industry Forum was formed by the Koran government to look into innovative technologies like machine learning, Internet of Things (IoT), and Blockchain. Byung-doo and his committee oversee regulatory sandbox for these technologies. He advised against restricting Blockchain and cryptocurrency when other emerging technologies were enjoying policies that created a regulatory sandbox to ensure their growth. In response, Choung Byoung-gug, the chairman of the Special Committee on the 4th Industrial Revolution of the National Assembly, assured of some changes to the current regulations very soon. He noted, however, that the government is hesitant to make wholesale change ps so as not to negatively impact the crypto market. As Smartereum reported, the Securities and Exchange Commission in the United States released new guidance to help ICO token issuers distinguish which token is security and which isn’t. The document, which is not legally binding, is seen as a good step since it acknowledges that not all ICOs are securities. However, it is criticized for trying to apply the age-long Howey Test to cryptocurrency instead of new guidelines that reflect the uniqueness of Blockchain and cryptocurrency. The framework still does not clarify xrp security status and some other specific concerns. Next articleLitecoin Price Up By 200% As Analysis Reveal That It Will Hit $650 Before The End of May: Will Litecoin Recover?